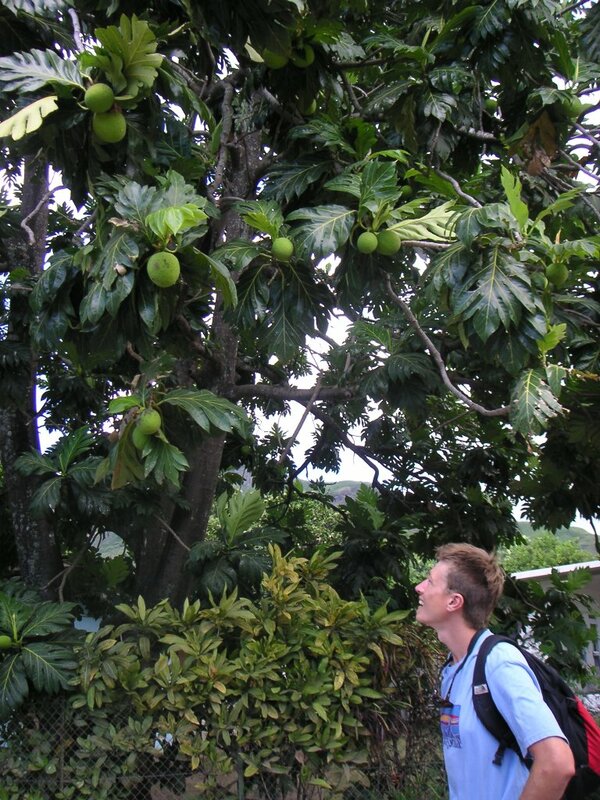 The bread fruit tree can produce 1000 bread fruit a year the size of a really large grape fruit. A bread fruit tastes a lot like a potato when baked in the traditional method by placing it on hot coals. Capt. Bligh of the Bounty was on a mission to obtain 1000 of these seedlings to transport to the West Indies on his fateful voyage when his crew mutinied and he was set adrift to make one of the most epic small boat passages of all time.